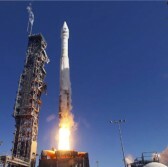 U.S. aerospace companies have shown interest in launching rockets from Brazil during a visit to the country’s Alcantara military base in December, Reuters reported Friday. Representatives from Boeing, Lockheed Martin, Microcosm, SpaceX and Vector Space Systems participated in the trip that was organized by Rubens Barbosa, a former Brazilian ambassador to U.S.
Raul Jungmann, Brazil’s defense minister, told reporters that the companies expressed interest in conducting launch activities in Alcantara, but have not made concrete plans to do so. SpaceX spokesman John Taylor released a statement disproving reports that SpaceX is interested in launching from Brazil. Lockheed stated that it has not made formal decisions but will welcome continued dialogue on potential rocket deployments from Alcantara. The military base is located along the equator and will require one-fifth less fuel to launch satellites into orbit compared to sites in the north or south.